Most employers in the construction industry already know that OSHA issued a new confined space standard for construction that became effective on August 3, 2015. Companies with employees who enter confined spaces at construction sites must be sure to understand the new regulation and adjust their processes in order to remain in compliance. Although the new standard has been in effect for six months, this blog provides a reminder on some of the key provisions of which employers should be aware. As background, OSHA used to just have a confined space standard for general industry employers (29 CFR 1910.146). However, in recognition that construction sites often host multiple employers and are continually changing, with the number and nature of confined spaces changing as work progresses, OSHA promulgated a new standard, available at 29 CFR Subpart AA 1926.1200, tailored to the unique characteristics of construction sites. Entry employers. This is defined as an employer who decides that an employee it directs will enter a permit space. Entry employers have a duty to inform controlling contractors (defined below) of any hazards encountered in a permit space. Entry employers also have to develop safe entry procedures. Host employers. This is defined as the employer who owns or manages the property where the construction work is taking place. If the host employer has information about permit space hazards, it must share that information with the controlling contractor (defined below) and then the controlling contractor is responsible for sharing that information with the entry employers. Controlling contractor. This is defined as the employer with overall responsibility for construction at the worksite. The controlling contractor is responsible for coordinating entry operations when there is more than one entry employer. Controlling contractors must provide any information they have about any permit space hazards to all entry employers. The controlling contractor is also responsible for coordinating work in and around confined spaces so that no contractor working at the site will create a hazard inside the confined space. After the entry employer performs entry operations, the controlling contractor must debrief the entry employer to gather information that the controlling contractor then must share with the host employer and other contractors who enter the space later. Continuous atmospheric monitoring is required under the construction standard “whenever possible.” In contrast, the general industry standard merely encourages continuous atmospheric monitoring where possible and only requires periodic monitoring as necessary. The construction standard requires that a “competent person” evaluate the work site and identify confined spaces including permit-required confined spaces. Notably, the general industry standard does not require that a “competent person” complete this task. A “competent person” is defined under the new standard as someone who is capable of identifying existing and predictable hazards associated with working conditions, including, of course, whether a workspace is permit-required. Employers who perform construction-related activities need to make sure they understand the requirements of the new confined space construction standard. 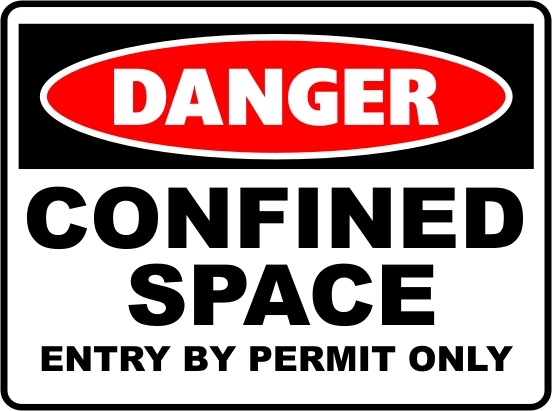 For more information, download : Confined Space in Construction: OSHA 29 CFR Subpart AA 1926.1200 here: https://www.osha.gov/confinedspaces/1926_subpart_aa.pdf or consult with your Seyfarth attorney.